Margreet Maxine (Fry) Cain, daughter of George and Josephine (Hall) Fry, was born on June 27, 1922, in Decatur County, Iowa. She went to be with her Lord on Monday, November 11, 2013 at Chariton Nursing & Rehab Center, Chariton, IA. Margreet attended country schools in Decatur County. She and her sister, Maedean, were well-known for their singing, which they did for many church services. 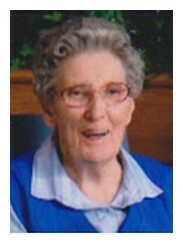 She loved the Lord, was a member of the Van Wert Assembly of God Church and rarely missed services of any kind. She taught Sunday School for several years and helped the church ladies prepare many funeral dinners and other special occasion meals. On November 28, 1974, Margreet was united in marriage to Wallace (Bud) Cain. Although she didn’t have any children of her own, when she married Bud she acquired 2 daughters, 2 sons-in-law and 3 grandsons. She loved them all like her own and they returned that love to her. Margreet loved children and she doted on the great-grandchildren born into the family. Margreet and Bud loved being out-of-doors, especially going fishing together, always had a garden and did their own lawn work. They were caretakers of the Van Wert and Munyon Cemeteries for many years and received lots of compliments for their work. Margreet was an exceptional cook and all of her family enjoyed the pies and noodles she made. When she knew the grandsons were coming, she always had beef & noodles, much to their delight. At Christmas time, she and Bud made cookies and candy and made sure that everyone that came got samples. After Bud passed away in January 2005, Margreet continued to reside at the home in Van Wert. She had a garden and did her own mowing and lawn work. Margreet suffered a stroke, in July 2006, after which she resided in the Osceola Care Center for a time. 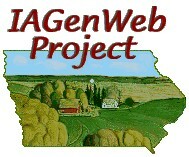 In August of that year she went to Russell, IA to live with her daughter Betty & husband Elwyn. In October 2006, she fell and broke her hip and following surgery she resided at the Chariton Nursing & Rehab Center, Chariton, IA. In November 2010, she had another fall, at the Care Center and broke her leg, resulting in more surgery. She was then confined to a wheelchair and bed. She maintained a good, positive spirit and attitude throughout all her ordeals. The staff at the Care Center loved her good nature and she liked all of them. One of the volunteers has commented, several times, how she enjoyed taking Margreet to the Center’s church services and marveled as to her knowing all the words to the hymns they sang. Margreet was preceded in death by her husband, Bud (Jan.2, 2005); her parents; her daughter LuEtta & husband David Wakefield; brother Ernest; sisters Ethel & husband Hermann Euritt, Elsie & husband Eddie Reed, Ellen & husband Buster Cox, and Maedean Fry. Also preceding her were several nieces and nephews. Margreet is survived by her daughter, Betty (Elwyn) Mason, Russell, IA; 3 grandsons, Philip (Shelley) Mason, Diagonal, IA, Ken (Deb) Mason, Russell, IA, and Wallace (Jacqueline) Wakefield, San Antonio, TX; 7 great-grandchildren: Jaime (Brian) Sabel, Iowa City, IA, Becky (Daren) Jaques, Fayetteville, NC, Mallory Wakefield, Florida, Ryan Mason, St. Louis, MO, Robbie (Shayna) Mason, Diagonal, IA, Mike (Emily) Mason, Russell, IA, & Trae Wakefield, San Antonio, TX; 3 great-great-grandchildren: Savannah Jaques & Dallas Jaques, both of Fayetteville, NC, and Kaydence Mason, Diagonal, IA; her brother Dwight (Maxine) Fry, Indianola, IA; nieces, nephews and a host of other relatives and friends. Margreet will be greatly missed by her family, friends and all who knew her. Memorials may be given to the Van Wert Assembly of God Church or the Van Wert Community Center. Memorial services were conducted at 10:30 a.m. Saturday November, 16, 2012 at the Van Wert Assembly of God Church, Van Wert, Iowa, with Pastor Butch Black officiating. Interment was made at Van Wert Cemetery, Van Wert, Iowa.